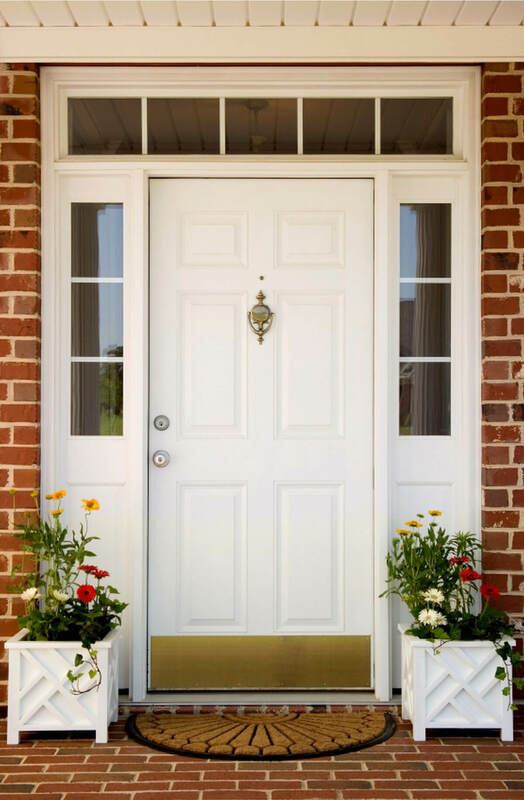 Are you looking for a way to spruce up your curb appeal? 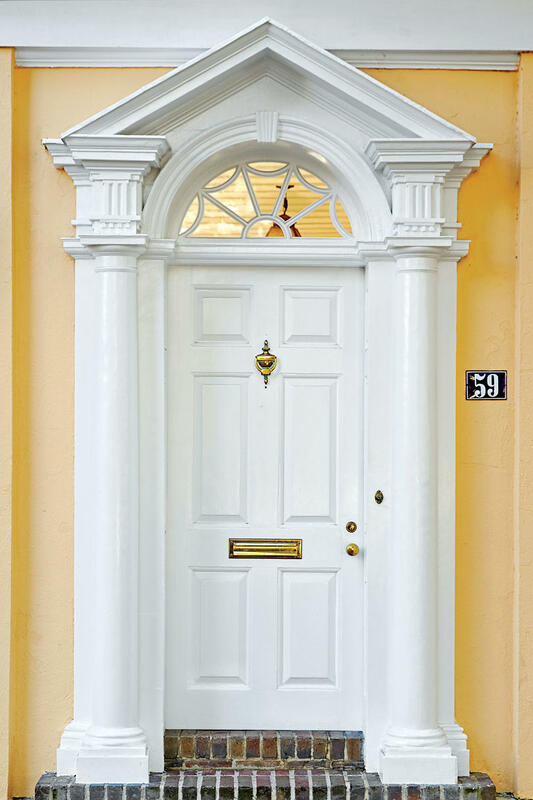 There are many ways to improve your home, and one of those ways is to give your front door a fresh coat of paint. 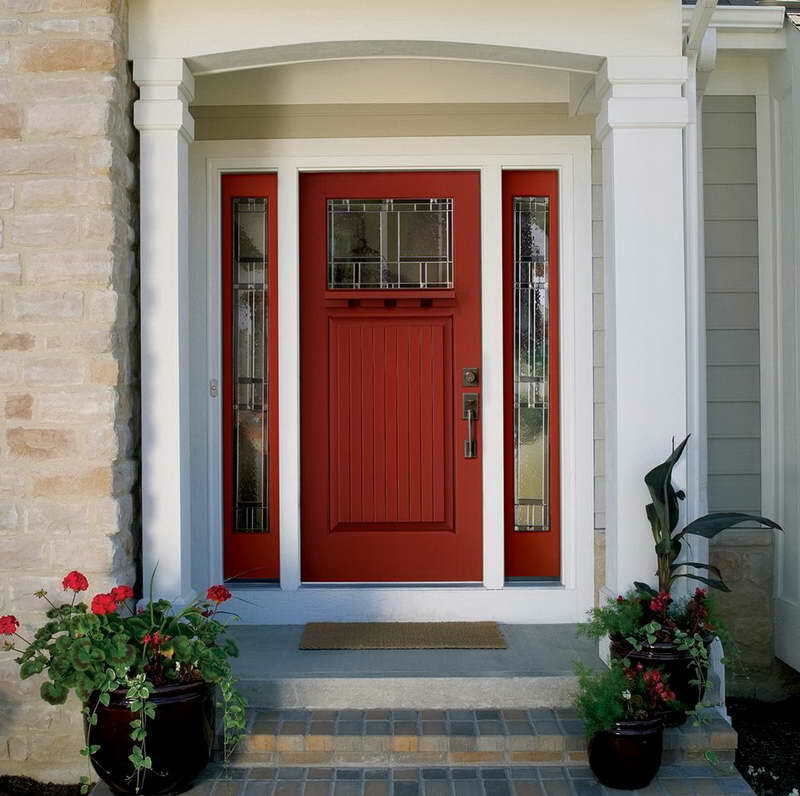 There are so many different front door colors that you can choose from. You could go all out and try bright red paint. 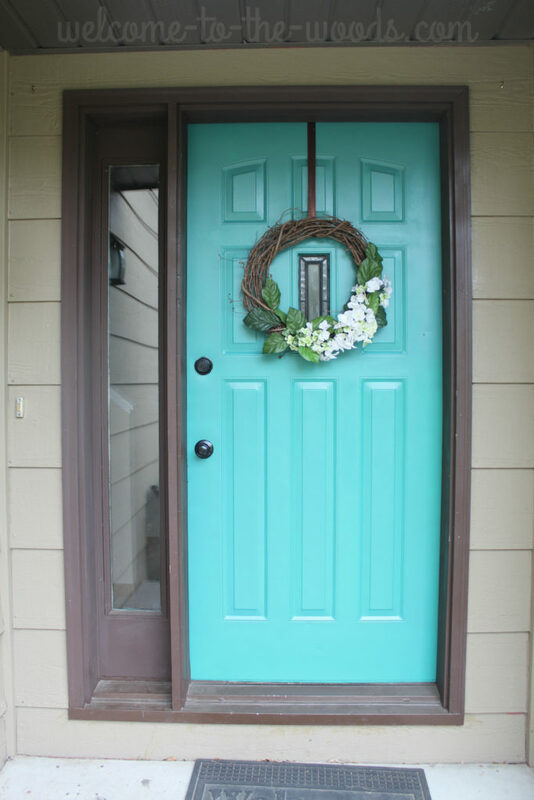 Or you could paint your front door green or blue to give your porch a relaxing look. 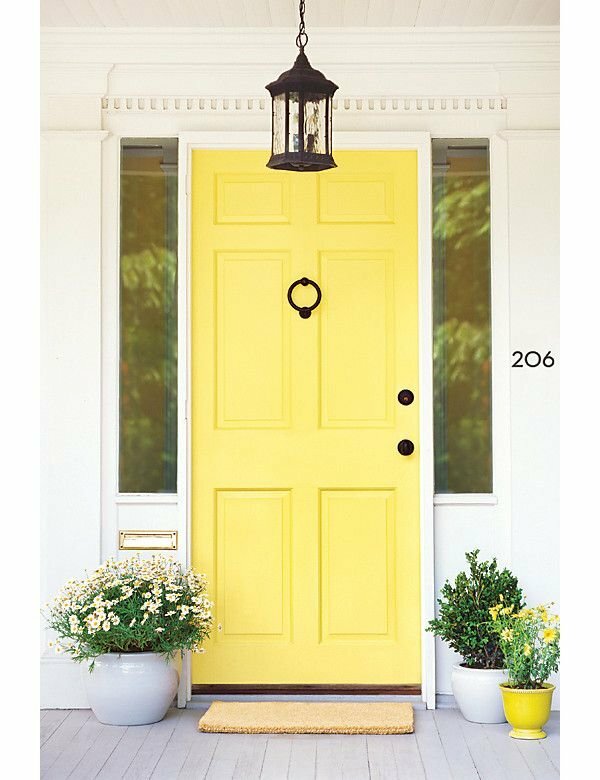 Here are some bold front door colors to consider, as well as some tips for painting your front door. 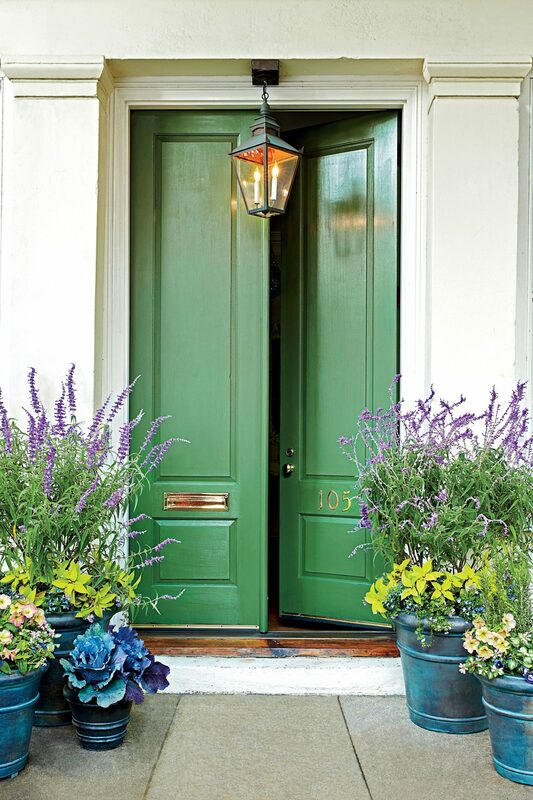 Have your front door match the grass with this beautiful shade of green. The dark green color gives your home a unique look, but it is not too bright that it is an eye sore. It can give your porch a calming look and can look very welcoming. 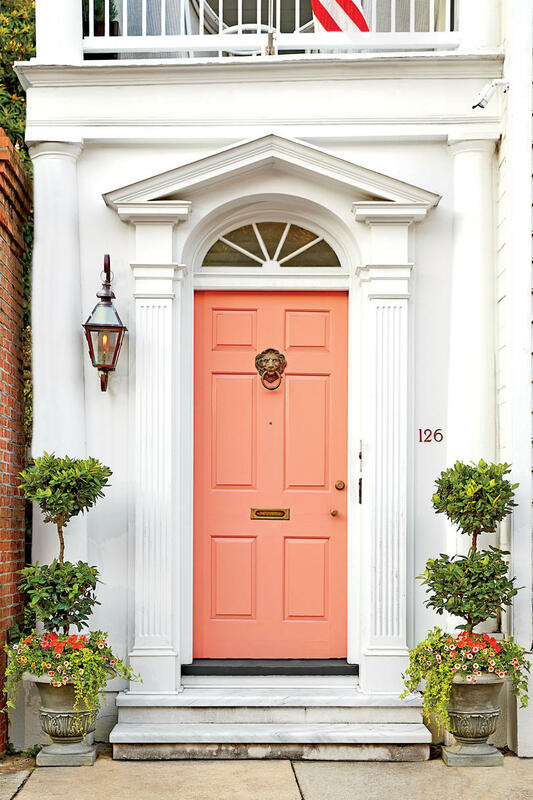 This front door color is also called peach. It is not so bright that it takes away the beauty of your home, but it is bold enough to be seen. 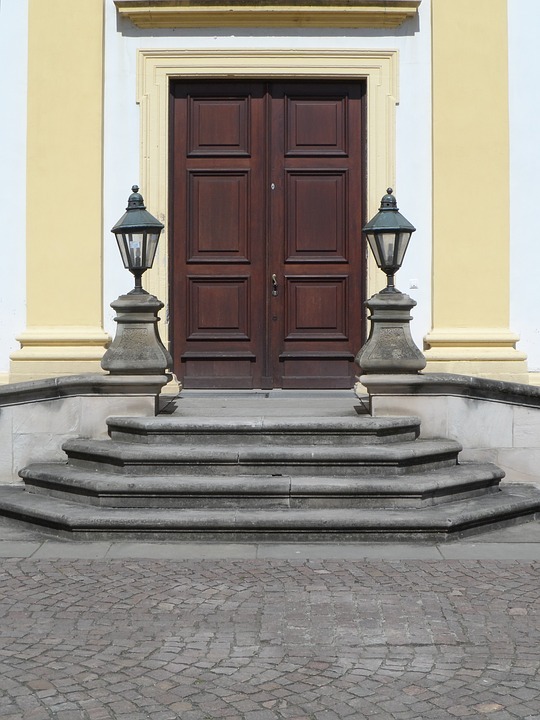 This front door color would look nice on any home, but is especially looks great on white or grey colored houses. Black may not seem too bold, but it can actually give your home a nice look. Whether your home is white or slightly grey, the color black offers distinction to your home. While white may seem boring, it can offer a unique look to your home. This classic color works with any color house, but you probably won't want to do it if your house is white. That way, your door will be different than the color of your house. If you have ever seen ginger jars, you know how beautiful they can be. Ginger jars, also called China jars have a beautiful dark blue color mixed with white swirls and hand painted flowers. 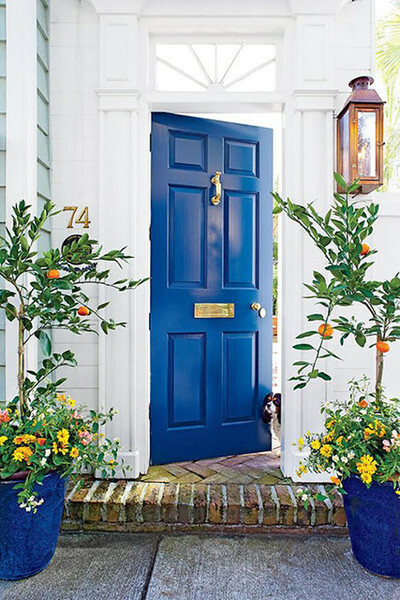 Why not bring this beautiful color to your front yard by painting your door ginger jar blue. Even if you don't add the white swirls (although you can if you want to be creative), this dark blue color will look great on any home. Are you wanting your home to stand out in your neighborhood? Try painting your door yellow. This bright color is cheery looking and will surely brighten your neighbors' day. Even if it doesn't, it will definitely brighten up your home. Not sure if you should paint your door white, cream, or grey? Try this shade that contains all three of those colors. Toque white may look like white, but it is a creamy color meant to add simplicity to your home. Bright red, also called All American Red is creative looking and bold. 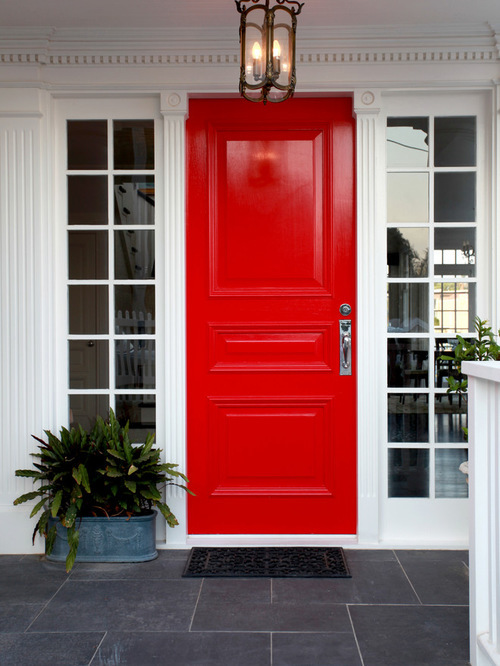 When the Fourth of July comes, your house will have a patriotic look with its red color. Just try not to pair this color with navvy blue, unless you want your house to resemble a flag. Unlike bright red, terracotta red has a more natural look. It is a mixture of red and brown, and it offers a welcoming look. 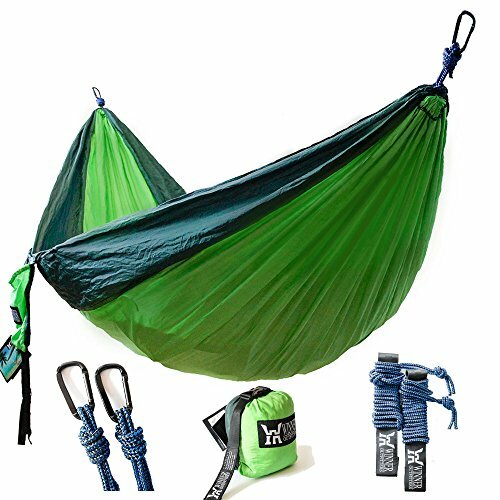 Can't decide if you should go with green or blue? Try turquoise. Turquoise looks great with a darker colored house, but it would go well with white too. If you are wanting a richer, darker color than yellow, gold is the best option for you. It has a mustard colored look, and it is definitely bright and cheery. Teal has an ocean look that can look great with any colored house. Similar to turquoise, this color is great for those who can't decide if they want a green or blue door. Even if it looks plain, brown has a natural look that will go with any home. If your front door is made from wood you can stain it. Otherwise, you can use brown paint. Begin by removing the hardware off of your door (knobs, locks, knockers, etc.). Unless you are replacing the hardware, you may want to give them a fresh coat of paint as well. You'll want to paint them first, so they can be drying while you paint the door. For some things that cannot be removed, such as the peephole, apply painter's tape around it so that it stays protected from the tape. You won't be able to remove all the tape from your door, but you can try to remove some of it. Taking the sanding block, begin rubbing it back and forth along the door. This will help prepare it for its fresh coat of paint. Even if you don't see any dust, there is probably some there. Take a rag and wipe your door so that any dust is removed. Remember not to use a wet rag, because you'll then need your door to dry before you paint it. Lay down a drop cloth to protect the ground and floor. Use exterior-grade paint-and-primer-in-one. Stir the paint after opening, and then begin painting. Leave the door slightly open as you paint to make sure you paint all the edges. Follow the manufacturer’s instructions for dry time. 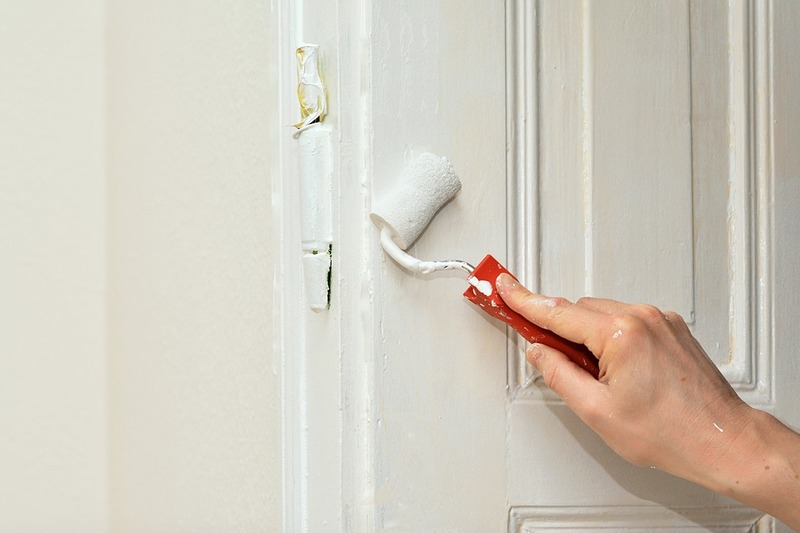 After giving your door one coat of paint, go over it again to give it a second paint. To make it easier and quicker, use a paint roller for the second coat of paint. Reattach the hardware that you took off at the beginning. If you painted them, make sure they are completely dry before your reattach them. If you want, you can paint the trim so that it goes with your new door color. Use painter's tape if needed to protect your house from the paint. Paint can be bought almost anywhere. Walmart, Home Depot, Lowe's, and Amazon are great places to buy paint. Other companies such as Zoro also sell paint. 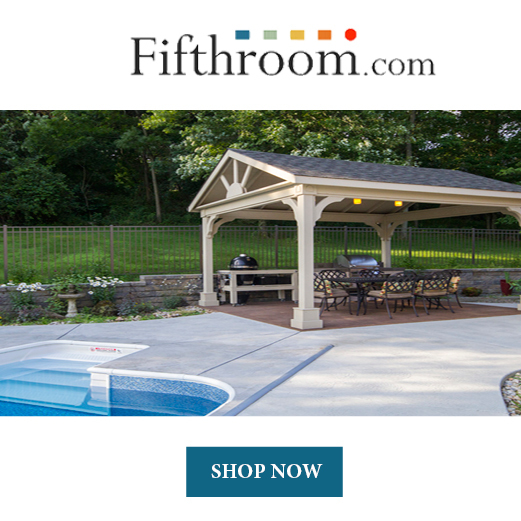 It is important that you get exterior paint so that it is made for the outdoor weather. With all the different color paints, it can be overwhelming to know which color to choose. It can be helpful to go to a store that sells paint and look at the free color samples. If you still can't decide which color you like best, you can buy a small amount of paint and paint it onto your door. If you like it, you can buy more. If you don't like it, go with a different color. Try to paint a color that goes well with your house. Because you want the door to stand out, you won't want it to match your house. For example, don't paint your door white if that is the color of your house. Instead, paint it black or brown. You could even go with a bright color such as red or yellow. Just don't paint it a color too similar with your house color. 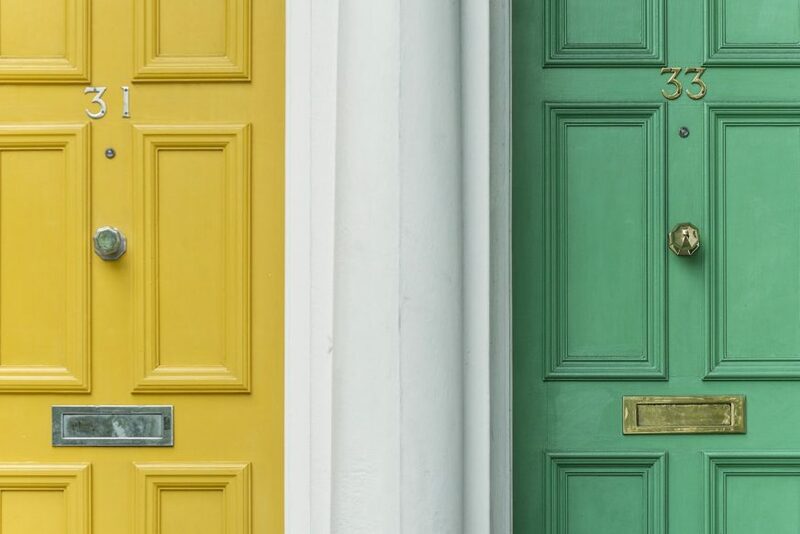 You can either wait to paint your door when it begins chipping, or you could paint it a different color even if the paint is not coming off. Both options are fine. 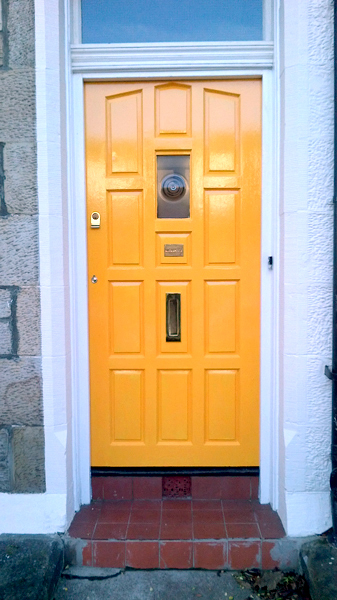 As for the time of year to paint your door, it is recommended to paint it on a warm, sunny day. That way, you can work outdoors without being too cold, and the paint will dry quicker. Make sure no rain is in the forecast for that day because you want to give your door the chance to dry. Painting a door shouldn't take too long. However, you'll want to give yourself plenty of time to do it. 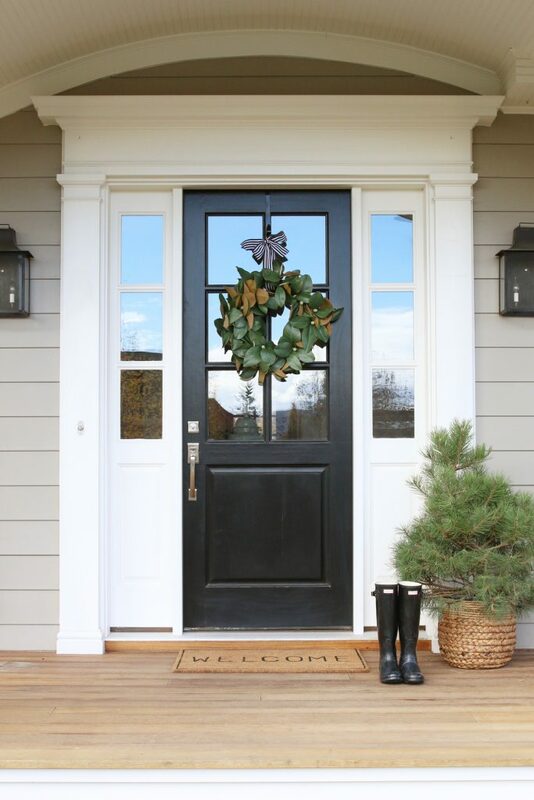 A non-busy weekend is the perfect time to paint your door. Remember that you'll need time to buy the supplies, prepare your door, and then paint it. Don't assume you can do all this after you come home from work. While it may only take an hour or two to paint, it may take longer to buy everything you'll need. Are you looking for a way to brighten up your home? 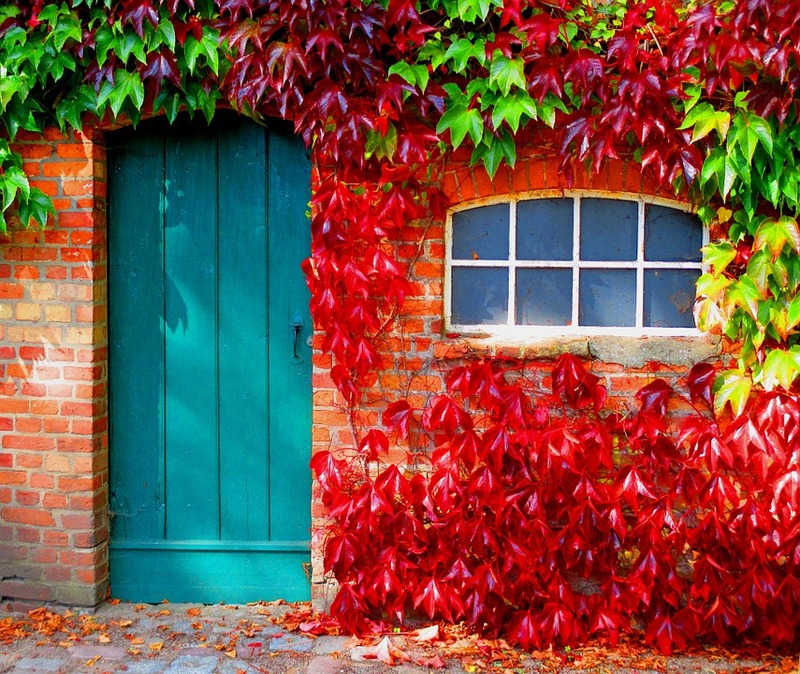 Consider painting your door a new bold color. There are so many different bold colors to choose from. Some colors are bright and stand out, while others are simple and calming. 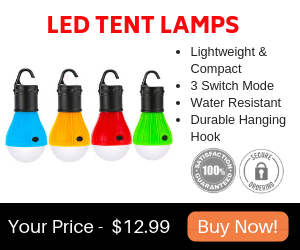 Whichever color you decide to use, it will refresh your home and give it a new look. When it comes to painting, painting is easy. Simply remove all hardware, remove some of the old paint, remove dust from the door, maybe add some painter's tape if needed, and begin painting. While you're at it, you may want to paint the trim too. Paint can be bought at most hardware stores, and can be bought from online stores too. Have fun painting, and enjoy the new look of your home.